A triumphant President Donald Trump and jubilant fellow Republicans celebrated the passage of their $1.5 trillion tax overhaul Wednesday as a "historic victory for the American people." The American people, however, will need some convincing. As Trump and GOP lawmakers gathered at the White House to cheer their first major legislative achievement — and the biggest tax changes in a generation — some Republicans warned that the party could face a painful political backlash against an overhaul that offers corporations and wealthy taxpayers the biggest benefits and triggers the loss of health care coverage for millions of Americans. 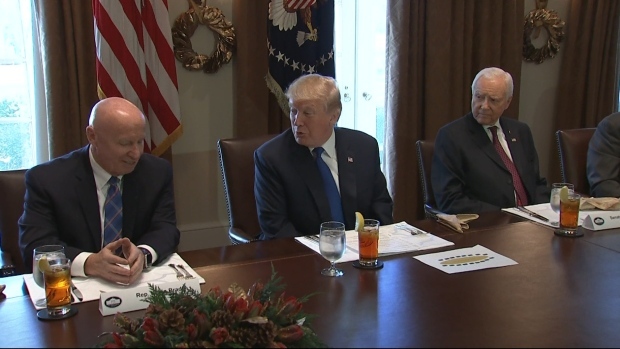 "We are making America great again," Trump declared, personally thanking his "little team" of Senate Majority Leader Mitch McConnell and House Speaker Paul Ryan, before lawmakers lavished praise upon a president they have often openly criticized. 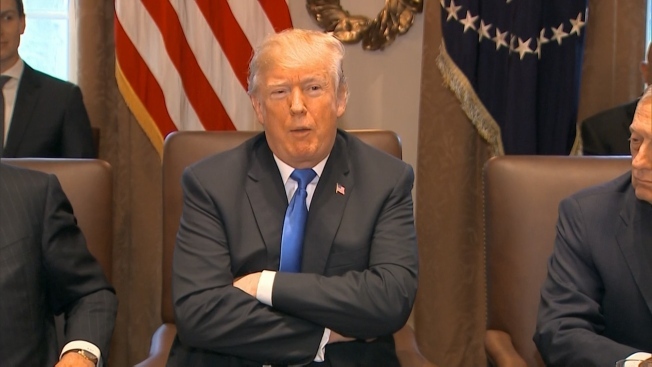 "I don't know if we'll have bigger moments, but we hope to," said Trump. Some of the president's strongest allies conceded that voters may not immediately warm to the new law. Andy Surabian, a senior aide for a pro-Trump super PAC, likened the president's position to that of Ronald Reagan, who struggled through low approval ratings early in his presidential term after Congress passed a tax cut that led to huge Republican losses in the 1982 midterm elections. Reagan went on to a sweeping re-election in 1984 after the economy improved. Said Surabian: "Even if we don't start seeing positive effects in 2018, the important thing here is President Trump sets himself up to win re-election in 2020." "People don't understand it," said Virginia Republican Senate candidate Corey Stewart, though he still called passage "a massive win" for Trump and the GOP. The House of Representatives voted to pass a $1.5 trillion GOP tax cut reform on Dec. 19, 2017, at 227 votes yes to 203 votes no. 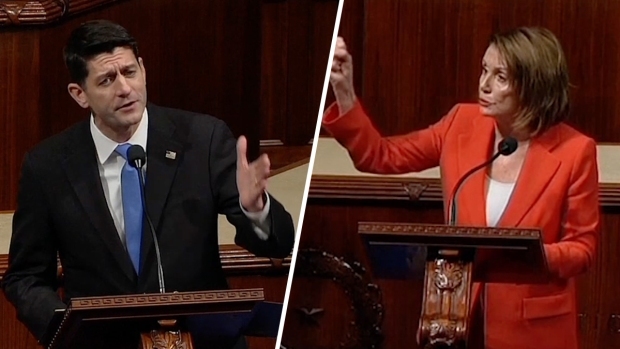 House Minority Leader Nancy Pelosi called the bill a tax cut to the wealthy, as Speaker of the House Paul Ryan defended the bill as a necessary reform for middle class Americans. Trump himself complained in a tweet that "defeated Dems" and the media were out to "demean" the tax package but "the results will speak for themselves, starting very soon." Democrats, who unanimously opposed the tax plan in Congress, were furious about the new policy yet upbeat about the potential political fallout in next year's elections. They need to flip 24 House seats and just two Senate seats to take control of each chamber. Asked if the tax bill will help Republicans hold the House, Minority Leader Nancy Pelosi leaned into a microphone and said, "Let. Them. Think. That." 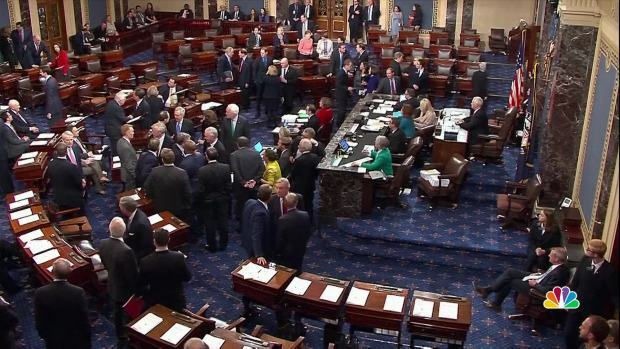 While it does not repeal the law known as "Obamacare," the legislation finalized by the House on Wednesday attacks a central tenet of the health care system by eliminating the requirement that all Americans have health insurance. The Congressional Budget Office says elimination of the "individual mandate" will boost health care costs by about 10 percent for those with coverage and leave 13 million additional Americans without health insurance in 10 years. Millions of people will still remain covered under the law's Medicaid expansion and health care exchanges, but Trump cast the package as a shadow repeal. The Senate and House have an agreement upon new tax legislation. AP Reporter Stephen Ohlemacher looks at some of the key takeaways. "We have essentially repealed Obamacare," the president declared. People living in high-tax states like New York and California may ultimately pay more. Among those who benefit, the wealthy will make out far better than the working-class voters who fueled Trump's victory last year. Reflecting the political risks, some of the nation's most vulnerable House Republicans voted against the bill. 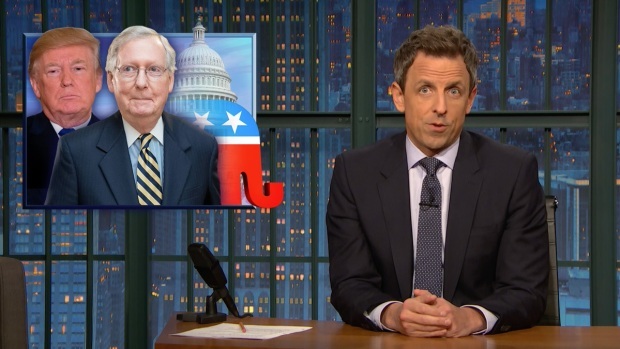 Seth Meyers takes a closer look at how Republicans are trying to pass their tax plan despite a brewing controversy over a last-minute tax break that could personally enrich GOP lawmakers and President Donald Trump. All the salesmanship in the world won't change the reality that the tax overhaul overwhelmingly favors the rich, Democratic critics said. "People think it's unfair. They want tax reform, they don't want tax cuts for the wealthy," said Gov. Terry McAuliffe of Virginia. "And I think people will realize they've been sold a pig in a poke."